I particularly enjoyed watching the video further below which includes a few bowhunting / archery tips. Cameron Hayes also has other archery tips, geared towards bowhunters who prefer to hunt with compound bows, available on his YouTube channel. 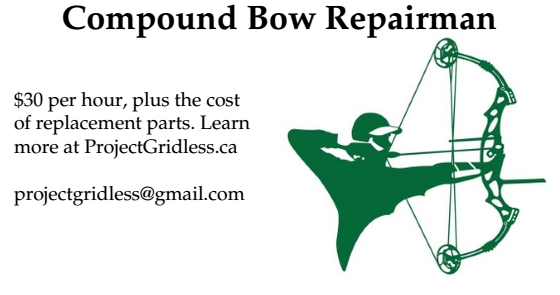 For compound bow archery lessons in Toronto visit CardioTrek.ca to book lessons. Compound bow not included, you will need to get your own, because the bow needs to be set to your draw length and preferred draw weight. You are happy with the equipment you are using. He does recommend a longer axle to axle bow because they are more forgiving in terms of accuracy. He also recommends using a bow string that does not stretch (or barely stretches, because technically all strings stretch a little). That you practice regularly at double the distance you plan to hunt at. eg. 60 yards if you plan to be hunting at 30 yards or less. That you practice regularly, in general - even if it is only one round per day sometimes, it matters more than you are still practicing out of habit. He favours a heavier poundage than necessary because his goal is to have the arrow go right through the animal. Practice often to shore up your confidence that when you do get an animal in your sights, you "know" it is going to die.